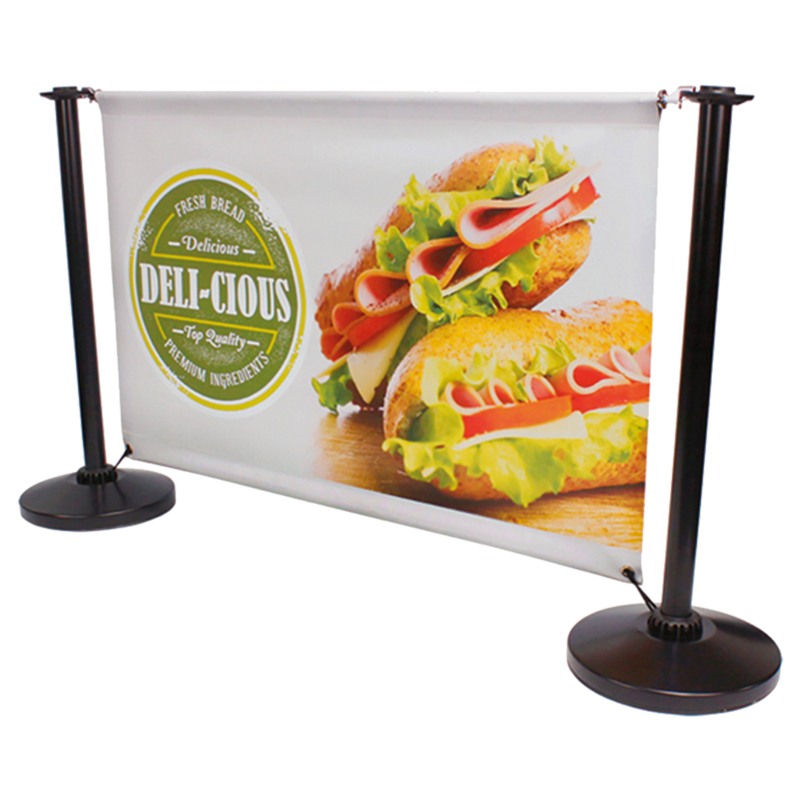 This stylish, strong and effective black steel single cross rail barrier system can create the perfect space for you customers and brand. Simply select your choice of Cross rail length from the tabs. All prices are for the full set of components, including the printing of your personalised banner as long as it's print ready. Once your order has been received, you'll receive an email link to upload your artwork. Prices shown are for print ready artwork supplied by you. See the "Artwork" tab below for templates and details on supplying print ready artwork. No print ready artwork and want to use our Sign Design Service? Simply order the full sets that you require and add the Design Sign Service option to your order before clicking the "Add to Cart" button. 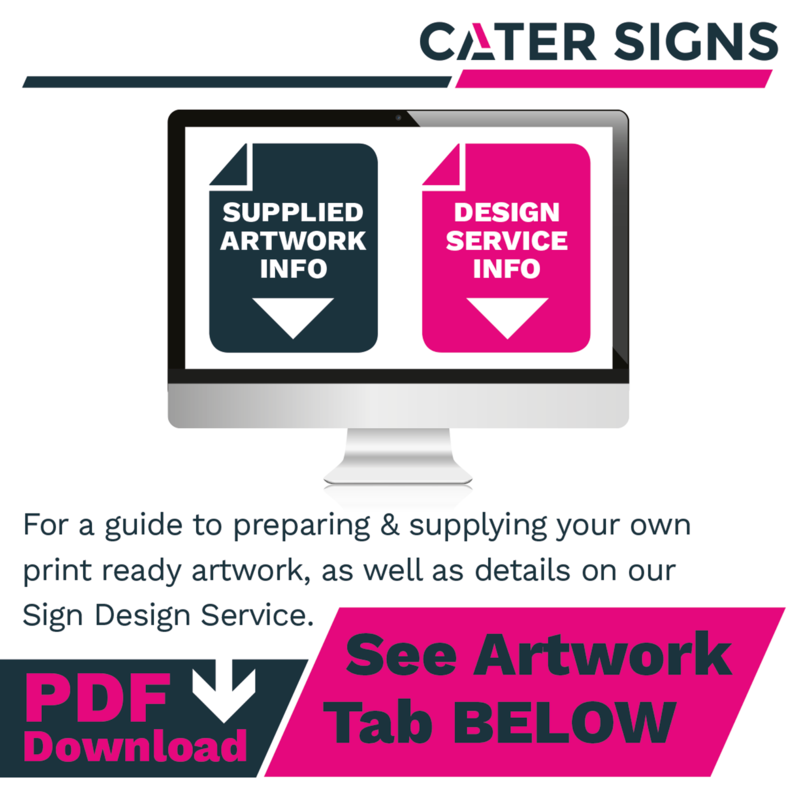 Once your order has been received, you'll receive an email link to upload you artwork and design brief/ See the "Artwork" tab below for more details on our sign design service and templates. If your supplying print ready artwork and do not require a proof, allow 5-7 days for dispatch. If you're using our sign design service, please allow for 5-7 days post artwork confirmation for dispatch. 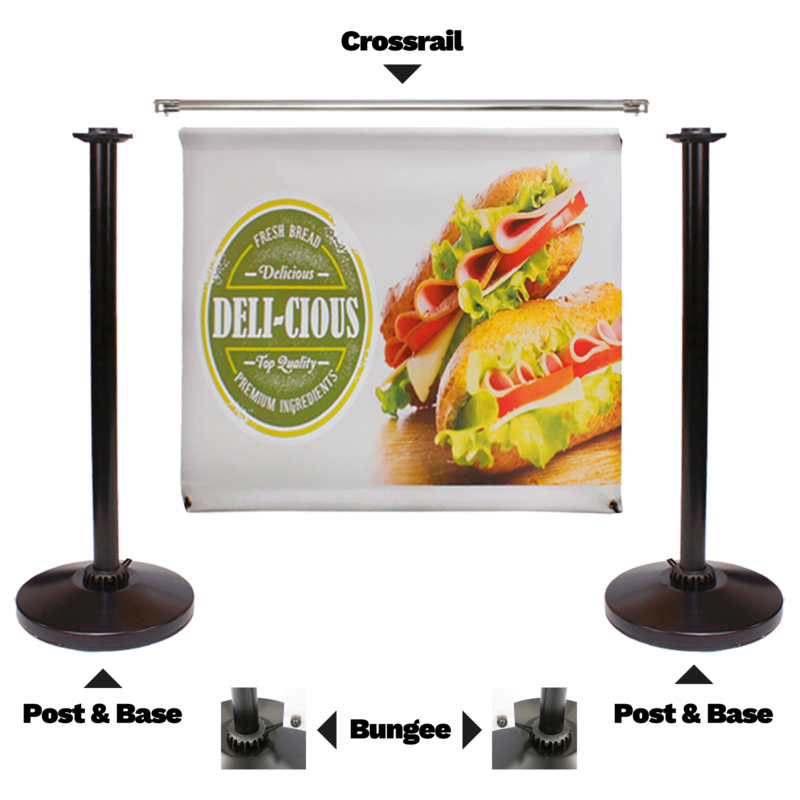 Please Note: Replacement banners and component parts can be ordered separately for this barrier system. Branded prices shown are for print ready artwork supplied. If you don't have any artwork, we can design it for you. Once you've placed your order for our sign design service, we'll send you an email requesting your design brief along with any images, logos and copy including preferred colours or existing marketing material. We'll then create a design and send you a .pdf proof via email. Once the design has been agreed upon after any amendments, we'll begin the printing process and the design is yours to keep for future use. Please note: The cost of this service is an estimated cost, and for the most part an accurate representation. The design or redesign of company logos and the purchase of photo images is not included. If we think there will be an overrun of the time allocated to your design, our team will contact you to discuss this prior to starting any additional design work. Ensure that your artwork is print ready by downloading our “Product Artwork Guidelines” PDF document before completing a template.